Sur Beach Resort Boracay enjoys a quiet and exclusive setting in Boating Station 1 — where the best accommodations are found. 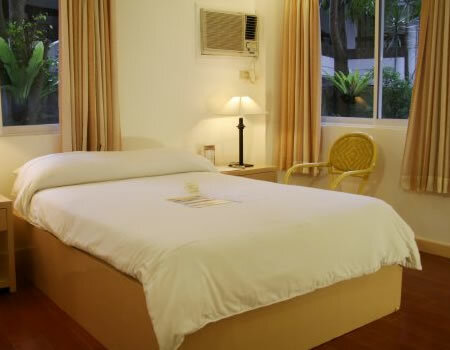 It’s surrounded by charming gardens and provides convenient access to the white sandy beaches. Visitors can also bask in various water activities and excursions to nearby islands during their stay. Make your stay more enjoyable and rewarding through our various special promos and packages. Get exclusive privileges, discounts, and freebies here. 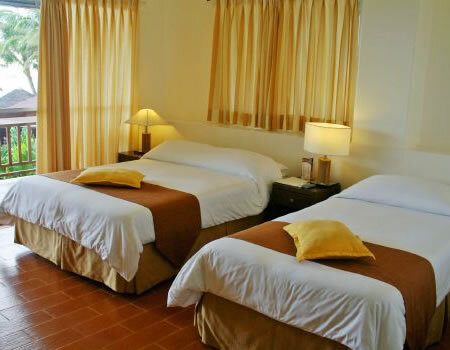 This room type measures about 30-35 sq m. There are two (2) adjoining rooms with a shared bathroom (1 queen size & 2 single beds) Good for 4 guests. These contemporary designed rooms features private verandas overlooking White Beach. Measures at around 30 sq m and accommodates up to 3 guests.